EK Interiors has over 10 years of experience designing unique, functional and beautiful spaces. Entrusted with projects ranging from ground-up construction planning down to every-last-detail selections. Whether your project is simple or intricate, EK Interiors will work to create a space that makes you happy to come home. The design and consultation we received from EK Interiors were exactly what we needed to make our dream bathroom a reality! Not only did Emily provide several design choices, she walked us through the positives and negatives of each and really helped us to narrow down our final design. We could never have gotten through this process without her help! My only regret is that I didn't utilize EK Interiors for construction resources. Beyond the bathroom makeover, Emily also assisted us in lighting selections throughout the entire house and shiplap placement. Emily's input was instrumental in every decision we made. She was accessible and always got back to us in time for any last minute details we needed assistance with. I highly recommend EK Interiors for any renovation! Emily was able to please both my engineer/business-minded husband and me, an artsy person with opinions. She listened well to our needs and wishes, gave us exactly the kitchen we wanted without any additional square footage to work with, had subcontractors she trusted and worked well with, was available to make choices of materials when needed (granite, lighting, hardware, cabinet design and color, tile) and supported our choices, making it easy for us to make decisions. She satisfied my husband's need for minute detail and was meticulous with her drawings, elevations and numbers. Emily has great taste and ideas but if you have some thoughts of your own, she respects you and incorporates your ideas into her plan. If she thinks you are making a poor choice, she will say why and she was always right. The following is one reason it was great to have Emily... She met me at the stone fabricator to place the templates on my granite. I was there before her. The fabricator had the granite pulled out, dirty from months in the stone yard and upright in the dark warehouse. When Emily arrived, she determined within minutes that the fabricator had pulled a similar perimeter stone but not the stone I had purchased at another supplier. When we purchased the stone months before, Emily took photos of the tags on the stone and she was able to prove it was not my granite. Had Emily not been with me, it's possible I would not have known, although I wasn't sure I liked it so much anymore, and the fabricator would have used the wrong stone. It would have been a costly and time-consuming error which would have caused big problems for everyone involved. I can't say enough nice things about Emily. She knows what she's doing and everyone likes working with her. She's totally professional in every way and worth her weight in gold. I loved working with Emily from EK Interiors! She was so professional and creative and I couldn't have done my project without her. Her ideas helped to make my custom home so unique. Her cabinet designs for my kitchen and bathrooms are not only an efficient use of space, they are gorgeous too! She worked with my builder to make our build so seamless. 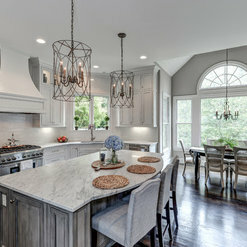 I highly recommend EK Interiors to anyone building or remodeling! We had the pleasure of working with Emily on the design and construction of our new home for over a year. Emily was instrumental in helping us create a unique home that reflects our individual style and personality. Her innovative ideas brought not only beauty and a graceful flow throughout the home, but a functional and practical living space as well. Her attention to detail with color selection, room proportions, and continuity gave our home its timeless character. 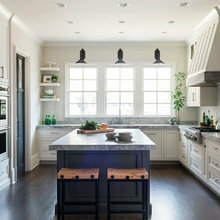 From the unique ceiling applications to the prized “working” pantry, we love our home! Emily’s ability to manage a project of this size is a real testament to her talents. Her professionalism, knowledge of construction, and organizational skills far exceeded our high expectations. Our home has brought us much joy and we feel blessed Emily was there to guide us with her expertise. 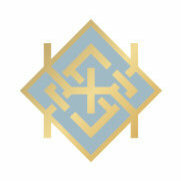 We give the highest recommendation for Emily Karempelis and her comprehensive design service. Emily was an absolute delight to work with on our project. She was very open to our ideas and incorporated the ideas into the plans. Emily has vast product knowledge and excellent product resources. Our project was a complete renovation with an additional sun room. The finished project results are stunning. Working with Emily was such a joy! She did a complete renovation of our home and was able to make our vision come alive while preserving the original architecture of the house...She pays close attention to detail and leaves no corner unnoticed. From working with her long distance, she is a great communicator and we felt comfortable trusting her with decisions. We could not be happier in our new lake home! Last year, I bought a charming 1940's home in Ashford Park. The kitchen had one drawer, hence the urgent need for a makeover! My experience throughout the process of my kitchen renovation with Emily was terrific. Easy to talk to, Emily promptly responded to emails, and remained interested in the progress. Her reliable communication facilitated the entire renovation experience. She incorporated my style and vision into the overall plan, and the outcome was truly beyond my expectations. Taking a small, out-dated kitchen in an older home, Emily transformed it into a functional, inviting space that I will enjoy for years to come. I will certainly call Emily for any future renovations. Emily is one of the brightest Designers in today’s building industry. 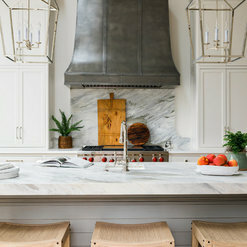 Her creative eye for architectural design, layout, cabinetry, color and texture is comprehensive and complete. She has the ability to capture the client’s vision, needs, and preferences. In working with Emily on numerous projects, our staff, as well as other associated trades agree that her level of professionalism throughout the job is unparalleled. 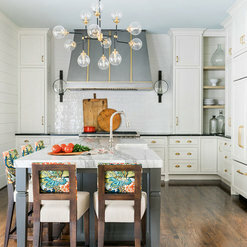 Commented: love the color of the cabinets!Hi Elana--the color of the walls and cabinetry is Hammered Silver by Sherwin Williams. 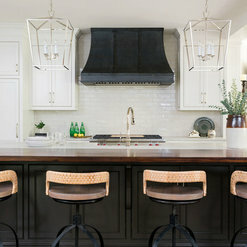 Commented: Island countertopThank you! This is a Roma Imperial Leathered Granite with a thickened edge! 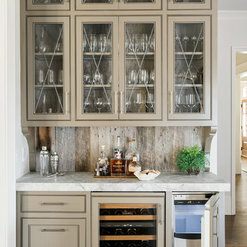 Commented: Who made these cabinets?These cabinets were custom built by Cabinet Resources in Atlanta. They did a fabulous job! Commented: What is the name of the granite in white kitchen?This is actually a dolamite vs a granite and it's called Super White :) We love it!